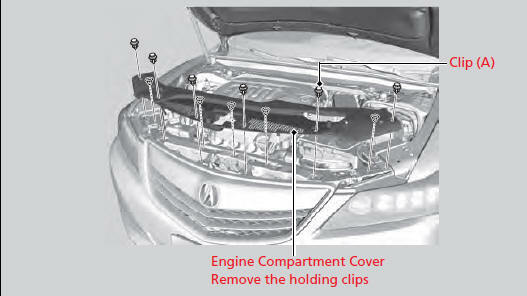 The component parts in the engine compartment are protected by a cover. You may need to remove the cover when you perform certain maintenance work. 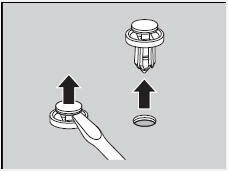 Insert a flat-tip screwdriver, lift and remove the center pin to remove the clip. 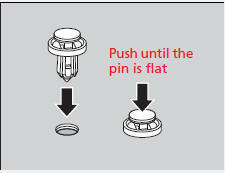 Insert the clip with the center pin raised, and push until it is flat.